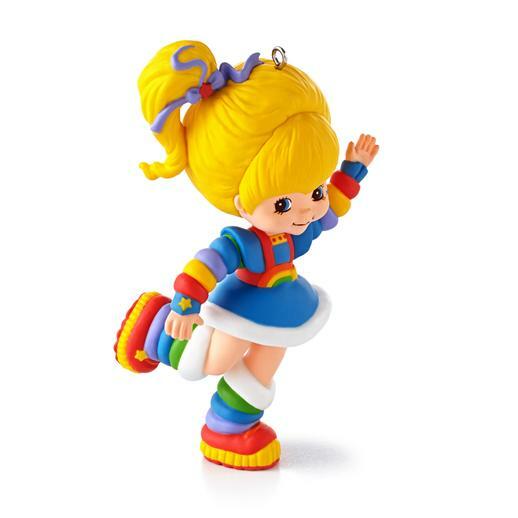 This summer Rainbow Brite's 30th anniversary ornament was released and there are many fans from all over the world who want them. Sadly international shipping is not an option on Hallmark.com. However in the season of giving and thanks I would like to extend a helping hand to anyone who would like one sent to them over seas. I live in the United States and want to help those who can't get these on their own. I have checked with my local post office and it seems the postage to ship a package that small would cost about $10 parcel post. If anyone would like an ornament please contact me here or email me via the "Contact" page on the RainbowBrite.Co.Uk website. You won't pay anymore for the ornament then if you were to order it yourself. I am not upping the price or charging anything for this, and am doing it as a favor to any Rainbow Brite fan who would want one. NOTE: I am not authorized to "Sell" any Hallmark item, as I am not selling them. This is a courtesy for fans as a favor not for profit.